Shortly after opening Cortez Quilt Company five years ago I discovered Better Homes & Gardens Quilt Sampler magazine. I loved reading about the featured shops in each bi-annual edition, who started those businesses and why, and what made them unique. And I dreamed about being one of those shops. Now that dream is a reality. We made the Top Ten. We'll be in the Spring edition of the magazine. We are honored, humbled, proud, and very excited. Part of this process was designing a quilt for the magazine. 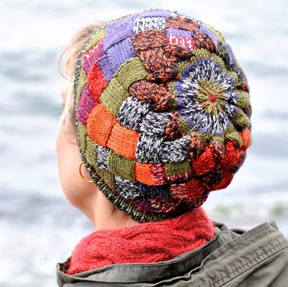 Each of the ten featured shops creates one and the pattern is published in the issue. I had about two weeks to submit multiple possibilities. The magazine editors told me which one they liked best, and I had about four weeks to order fabric, piece the quilt, get it to the quilter, bind it, and send it to the magazine. Talk about pressure! But it was so much fun. 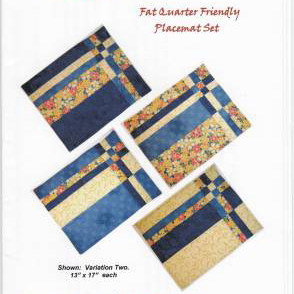 Once the magazine comes out we'll have kits available for the quilt. The Spring edition of Quilt Sampler will be on newsstands in mid-May. We'll receive our copies before they're available to the general public, and we will definitely be having a party to celebrate. Thanks to all of you who have contributed to our success over these past five year and continue to support us with your business. And special thanks to my amazing staff. They make it all happen around here. Happy New Year and cheers to many more to come. 2017 UFO Challenge is Underway! If one of your goals for the New Year is to wrap up some unfinished projects we're here to help. The 2017 UFO Challenge is underway and runs through March 31. Bring you January UFOs in by the 10th to register. Get more details here. Quilters: Take 15% off batting and backing fabric if you purchase those items for your UFO on the day you register. Knitters/Crocheters: Take 10% off anything you purchase on the day you register your projects. 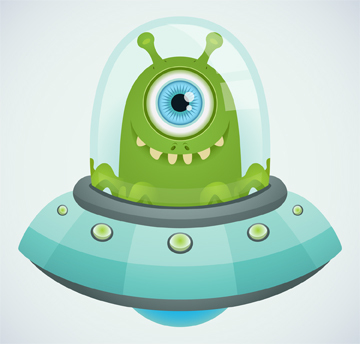 Join us for Open Sewing every Monday and Wednesday from 10-5 to work on those UFO projects! Open Sewing is free. Join us for the first Little Quilt class of the year. 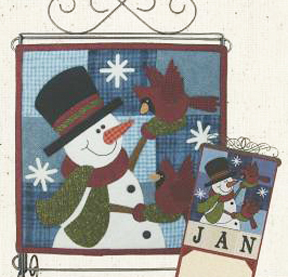 Each month you’ll make a seasonal wall hanging to display each month in your home or office. There are three options: 12″ square quilt to hang on a stand, 12″ x 16″ with the month included, or you can add an optional calendar holder. These are simple applique projects that can easily be made in one class session. Join us to make one, two, three . . . twelve. Your choice! 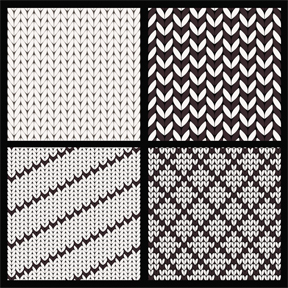 Our January First Saturday Make & Take will be the Take Four Placemats. These are so fun and fast to make! Use four coordinating fat quarters and you end up with four unique placemats. Class limited to six students. Karen will teach. 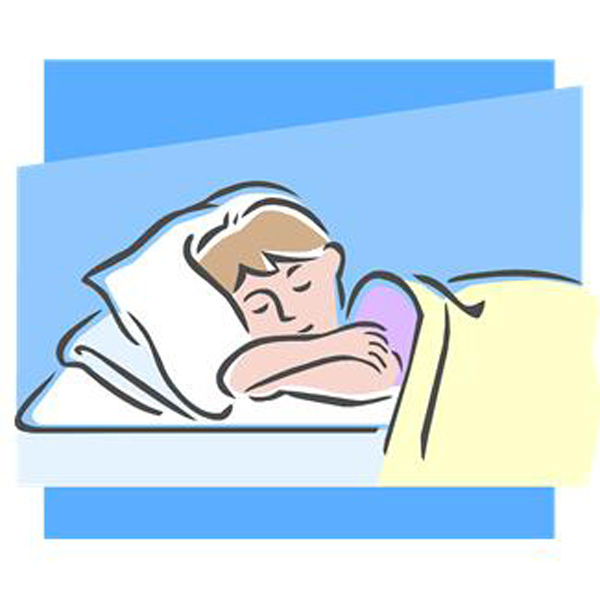 Winter is the perfect time to make new pillow cases to snuggle into bed with. In this afternoon Youth Class students will choose fabric and make their very own pillow case using the “hotdog” method. Aimee King will teach this class. Join us on Sunday, January 8 for our first Embroidery Make & Take of the year. 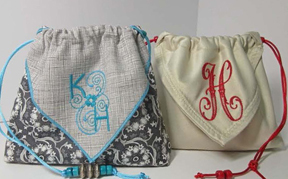 You’ll choose two fat quarters to embroider on and then make this cute origami drawstring bag. Bring your machine and embroidery unit. Cindy and Ann will be your guides. 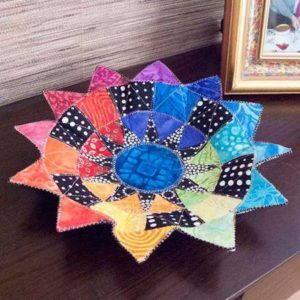 Bring your scrap fabric to class and take home one of these beautiful bowls. Great as a place to keep keys, your phone charger, and loose change, or leave it empty and enjoy it as a decoration on a side table or nightstand. Make one of two sizes using double-sided fusible, heat-moldable foam. Ann Sam will teach this class. Anne Worthington will take the mystery out of reading knitting patterns in this two-hour Skill Builder session. Bring a pad and pen to take notes. Feel free to bring a pattern that you have questions about and Anne will help you. 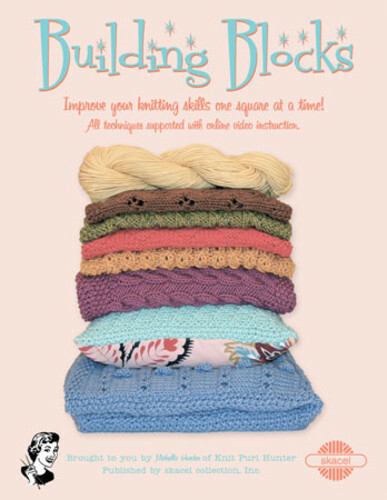 Building on what you learned in the morning pattern reading session, now you’ll learn to read and create knitting charts. Anne Worthington will teach. Bring a pad and pen to take notes. Graph paper will be provided. Feel free to bring a chart that you have questions about and Anne will help you. Click here to see all knitting classes. 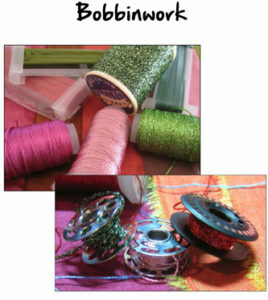 Bobbinwork is the creative solution for sewing with fancy, decorative threads that are too thick for the needle. Decorative thick threads or yarns are wound onto the bobbin and sewn from the wrong side. Learn the techniques for creating successful bobbinwork with a variety of decorative threads, yarns, and silk ribbon and use stitches, combinations and free-motion methods that will enhance any project. Bring your machine or use one of our BERNINA 350 classroom machines. Cindy and Aimee will be your guides. Getting to Know Hue starts this week. The cost is $29.99 per month for 12 months. Block kits will be available on the 5th of each month starting in January. We're happy to ship monthly to our out-of-town customers. Limited supply and it's almost sold out. 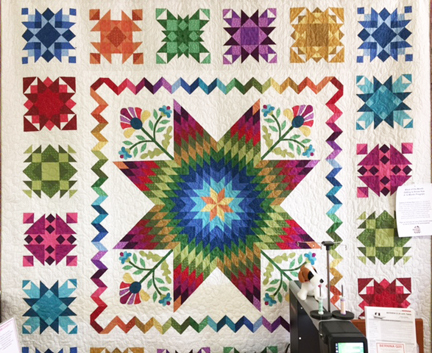 Call or come by today to secure your spot and get started on this beautiful quilt. 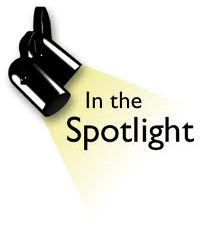 In each issue of The Quiltzette throughout 2017 we'll feature an In the Spotlight product. Come to the shop anytime before 6 p.m. on Saturday following each offer, mention that you saw In The Spotlight, and take 20% off the featured item. Check the newsletter each week. You'll find savings on notions, books, patterns, perhaps pricier items that you've had your eye on, and even furniture and machines from time to time. These offers will not be showcased physically in the store or posted on Facebook. You must read the newsletter to find out about the weekly offer. 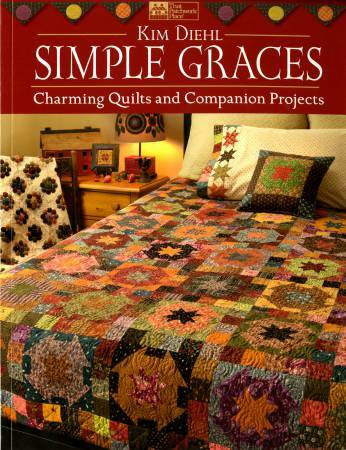 This week's spotlight item a wonderful book titled Simple Graces. Favorite author Kim Diehl is back with an all-new collection of distinctive pieced and appliqued designs. These eight quilts are each accompanied by at least one additional companion project, such as a lampshade, tea towel, pincushion, or pillowcase. 112 pages. Save 20% on your copy this week only. Offer expires on Saturday, January 7 at 6 p.m. One per person. Limited to stock on hand. No phone orders.